The sheer amount of data that our technology collects in the year 2018 is mind boggling. From wearable technology, to the microphones embedded in our Amazon Alexa, data is being collected at an insane rate. The next logical question is, what do we do with all of it now? Google’s Assistant software has been present on its smartphones and within the Chrome browser for years now, constantly receiving updates. As of now, its pretty good at predicting traffic on your commute, and telling you when a concert you might be interested in will be nearby. Your smartwatch can tell you if you got enough sleep last night, and will remind you to stretch throughout your day. Some people love these features, some people couldn’t care less about them. In the near future though, this data will become not only more integrated in your personal life, but within the cities you live in as well. 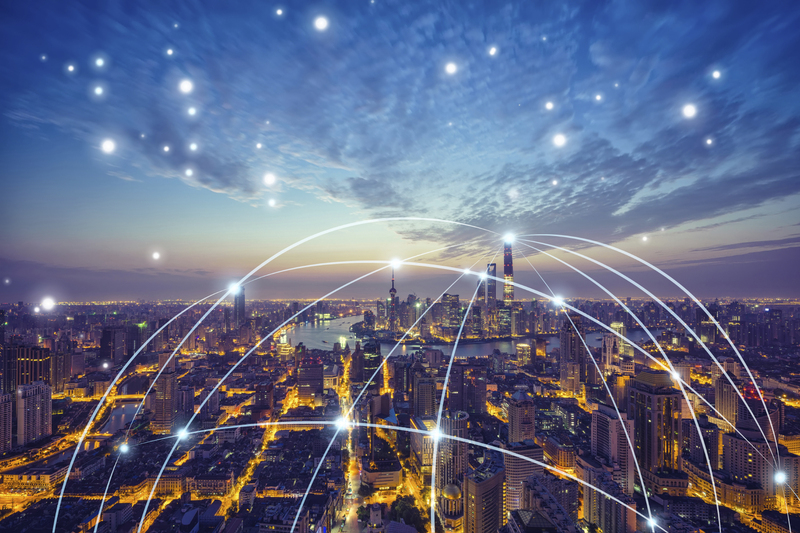 Lets take a look at 5 ways that big data will evolve smart cities to the next level. What if your smartwatch not only told you about your health and sleep, but your doctor as well? He (or his AI) could send you personalized updates on a daily level tailored specifically to you. What if your carpool buddy knew you were running late from sleeping in, and got gas before picking you up just from a brief message on his car’s dashboard? Small features like this might not sound like much - but when your phone, watch, and car are making schedule changes for you without user input, your life becomes much more streamlined. If your calendar gets updated with a long meeting at the end of your workday, your driver-less car will know about it. If a driver-less car has to pick you up from work, it will know that it can make other runs while you’re occupied. Cities around the globe are modernizing their archaic parking infrastructure with high-tech garages and internet-equipped meters. Many of them are also turning to companies like Pittsburgh-based startup MeterFeeder for cloud-based parking apps and software. The technology that will allow a self driving car to extend your parking spot reservation already exists, thanks to MeterFeeder. Remembering to pay for parking is a pain already, and MeterFeeder says that this technology can be added to any vehicle, regardless of age or level of autonomy. New structures around the world are being built with sustainability in mind. PNC’s new tower in Pittsburgh, Pennsylvania is designed with energy saving in mind. A completely automated process allows the facade of the building to open up and change position to allow maximum light and airflow into the building. Other buildings around the globe are adopting features like this to literally create a living, “breathing” city. 5. Public transit is only going to get bigger. Public transit is something that is going to become bigger and better as we get to the point that autonomous buses know where to go to pick people up. Autonomous vehicles will also eliminate traffic and slowdowns, resulting in faster commute times. Elon Musk’s The Boring Company hopes to do this by creating underground networks of tunnels that will allow for speedy autonomous transportation. Whether or not this will be implemented is still unclear, but it shows that there are big changes inbound for public and private transit. Like it or not, “Big Data” is changing the world around us, and life in the city is only going to get more efficient thanks to it. Some of it will be unavoidable, but some of it will also require you to “opt in” such as owning a fitness watch or stepping into an autonomous vehicle. But the truth is, someday our daily routines might seem as antiquated as putting a coin into a parking meter.